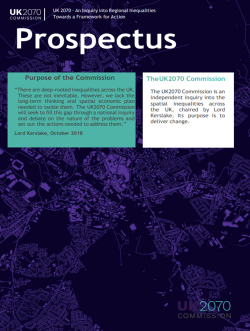 The UK2070 Commission is making available this page of reports, research and viewpoints. These include the Think Pieces below, which can each be downloaded. These have helped to inform the Stage 1 Report of the Commission’s progress, which is programmed for publication in early May, while the finalised report by the Commission is due to be published in early 2020. If you would like to receive a copy of either of these documents please get in touch with us via the Contact page. Learn more about the Commission by clicking here to read either our full prospectus; our summary prospectus or to read our Frequently Asked Questions page. 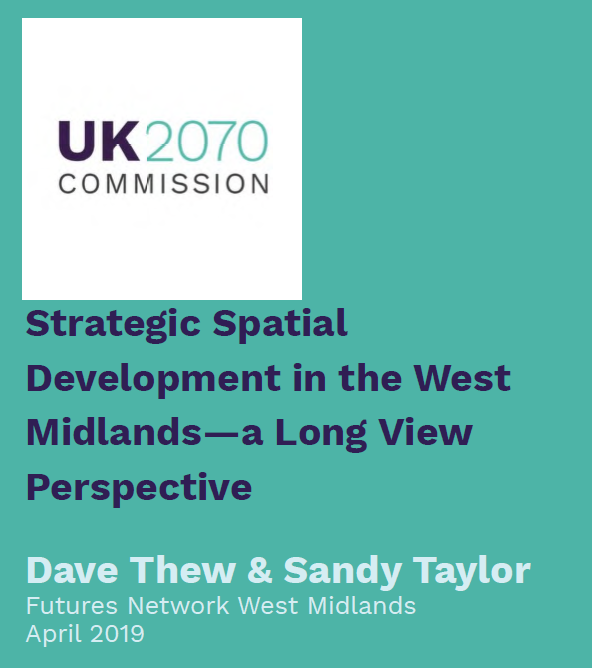 The UK2070 Commission has today published a working note co-authored by the Secretary and Chair of Futures Network West Midlands, Dave Thew and Sandy Taylor entitled Strategic Spatial Development in the West Midlands—a Long View Perspective. 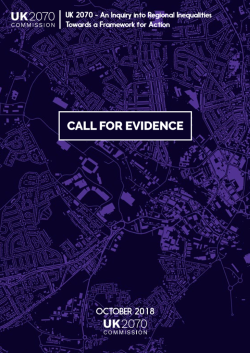 This interesting paper is based on the co-author’s 40 years of experience in strategic land use planning in the English West Midlands, with a primary focus on the policy-making process, and a stated aim of “drawing lessons that might be useful in developing a National Spatial Policy Framework as a mechanism to help address current economic imbalances across the UK”. The piece firstly details the history of planning policy in the West Midlands, before outlining the current situation in the conurbation of England’s second city. Amongst other arguments, Thew and Taylor welcome the return of strategic thinking with the recent establishment of the Midlands Connect Innitative and the Midlands Engine, but they also offer their improvements for how this could be better implemented with the recent creation of the West Midlands Combined Authority. 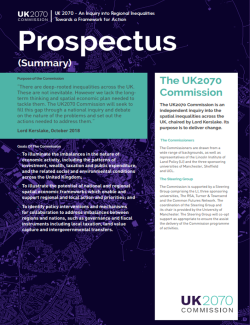 Although primarily focused on the West Midlands, the co-authors also offer their thoughts on some of the Commission’s other objectives outlined in our Prospectus. To read Futures Network West Midland’s report in full, please click here. 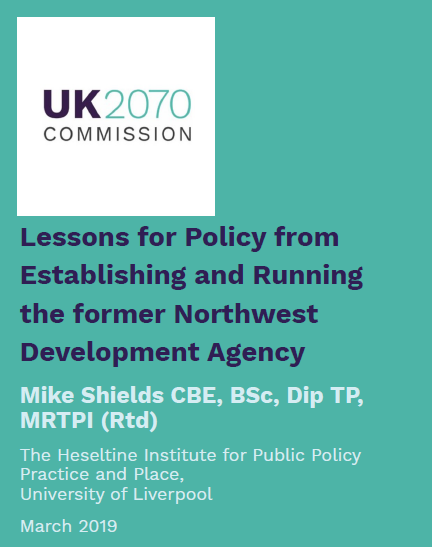 In its continuing series of publishing new Think Pieces on a weekly basis, the UK2070 Commission is today publishing a new article written by Mike Shields CBE, which assesses the success of the former Regional Development Agencies (RDAs). Although now serving as a Visiting Fellow at the Heseltine Institute for Public Policy, Practice and Place at Liverpool University, Mr Shields was formerly the founding Chief Executive (CEO) of the Northwest Development Agency as well having previously worked as both the CEO at Trafford Park Urban Development Corporation and Trafford Metropolitan Borough Council; Deputy CEO at Salford City Council; Deputy Director of Planning for Leeds; and Assistant City Planning Officer for Nottingham. Mr Shields uses his vast professional and personal experience to comment on both the establishment, and then the later abolition, of the Regional Development Authorities, and to consider what their legacy was, and how it remains to this day. He also writes chapters on how RDAs built effective relationships with central and local government; the role of RDAs and their unfulfilled potential; the strengths of RDAs as an institutional model, and their weaknesses, errors and failures. Read Mr Shield’s report in full here. 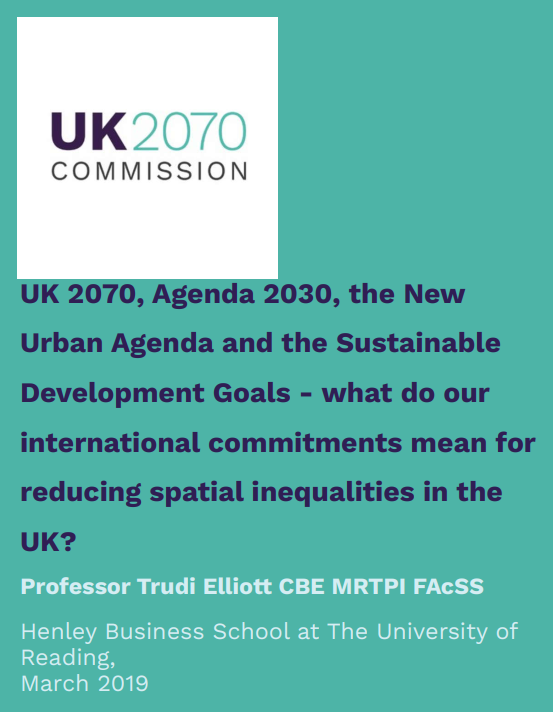 Professor Trudi Elliott CBE of The Henley Business School at The University of Reading, has today published a new Think Piece for the UK2070 website in her capacity as a UK2070 Commissioner entitled UK 2070, Agenda 2030, the New Urban Agenda and the Sustainable Development Goals – what do our international commitments mean for reducing spatial inequalities in the UK? With the UK2070 Commission currently considering the deep-rooted inequalities of the United Kingdom and exploring through a national enquiry both the nature of these problems and the actions needed to address them, Professor Elliot has written a paper which explores how international agreements which the UK has committed to might inform this thinking. The Think Piece also explores how the commission’s work can support the UK to deliver on these international commitments and to measure progress. Read Professor Elliot’s report in full here. Academics from the Alliance Manchester Business School at the University of Manchester and the School of Business and Management at Queen Mary University of London – together representing The Foundational Economy Collective – have submitted their recent report ‘Foundational Liveability: rethinking territorial inequalities’ to the UK2070 Commission as part of its ongoing Call For Evidence. The paper proposes “an an alternative concept of foundational liveability for household units…by considering gross, disposable and residual income obtained by subtracting housing and transport costs from the disposable income of owner occupier households” with a particular focus on Wales, after the Welsh Government’s 2018 Economic Action Plan ‘Prosperity for All‘ proposed developing innovative policy for the foundational economy. Read The Foundational Economy Collective’s report in full here. 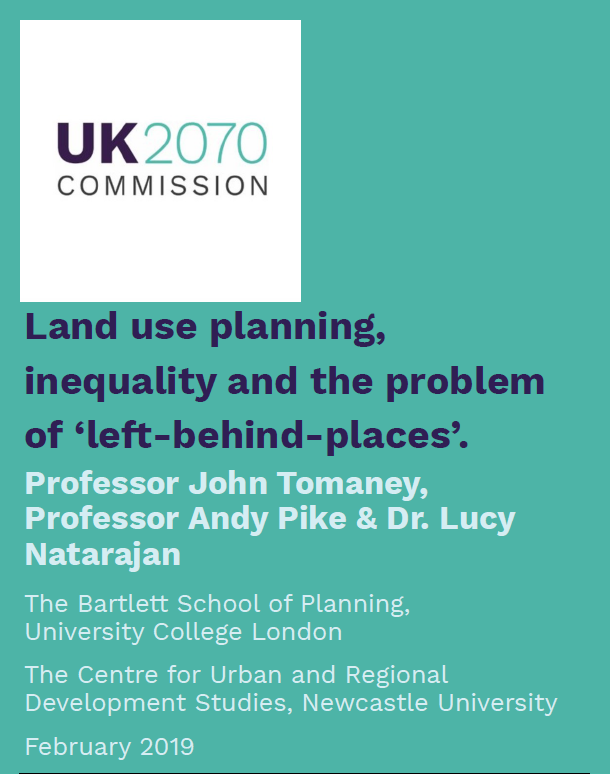 Academics from the Bartlett School of Planning and the Centre for Urban and Regional Development Studies have today published a ‘provocation’ on the UK2070 Commission’s website entitled Land use planning, inequality and the problem of ‘left-behind-places’. In this sixth article to be published in our weekly series of Think Pieces, the three authors seek to offer a critical account of recent efforts to regenerate deindustrialised regions, whilst also detailing new policy prescriptions for ‘left-behind’ regions. Read more about the ‘left-behind-places’ provocation here. 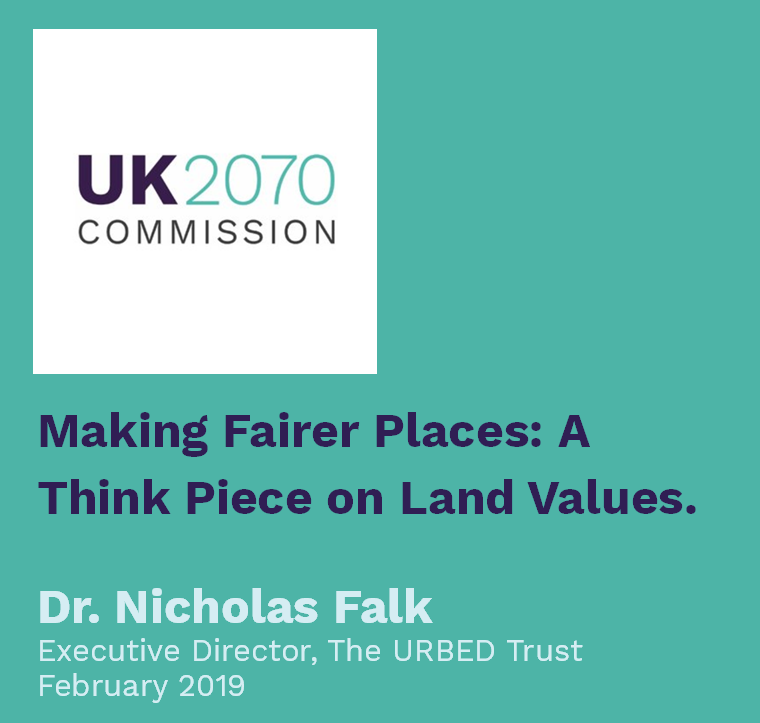 The Executive Director of the URBED Trust, Dr. Nicholas Falk, has written the fifth Think Piece to be published on the UK2070 Commission website, entitled Making Fairer Places: A Think Piece on Land Values. Dr. Falk’s report considers tackling spatial inequalities in the UK by discussing best practice in other countries internationally, and also how the issue has been addressed domestically in the past. Dr. Falk’s report also seeks to discuss why he believes harnessing land values is crucial to creating a more effective, equitable and efficient country, whilst also rebalancing our cities. Read more about Dr. Falk’s Think Piece here. 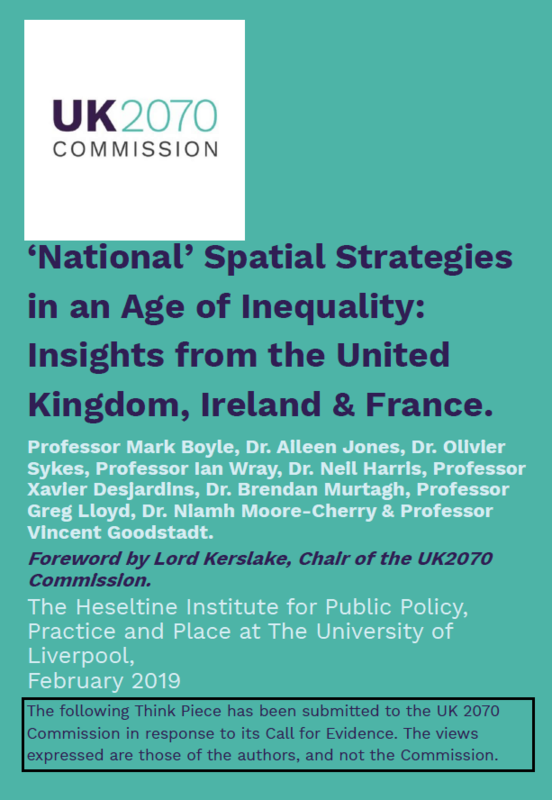 Our series of every Tuesday publishing a Think Piece submitted to the UK2070 Commission continues today with a recently published report by The University of Liverpool’s Heseltine Institute for Public Policy, Practice and Place entitled ‘National’ Spatial Strategies in an Age of Inequality: Insights from the United Kingdom, Ireland & France. With a foreword by the Chair of the UK2070 Commission, Lord Kerslake and chapters written by ten academics this extensive paper covers a wide range of topics. Read our full news story about The Heseltine Institute’s Think Piece here. 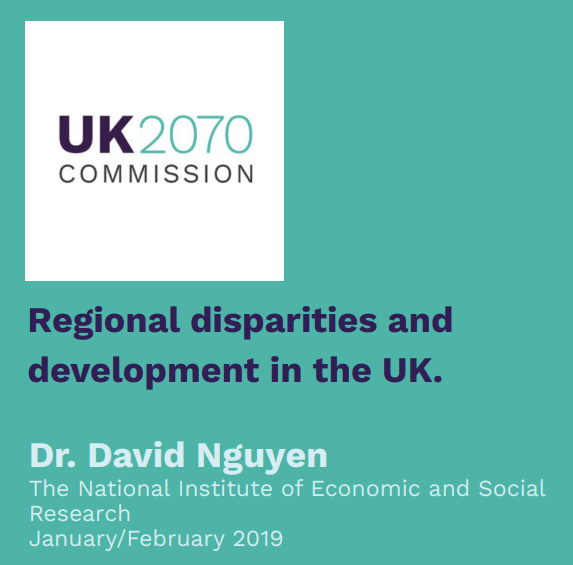 Our weekly series of Think Pieces submitted to the UK2070 Commission has now reached its third instalment, with this week’s entry written by Dr. David Nguyen of the National Institute of Economic and Social Research (NIESR). Entitled Regional disparities and development in the UK the piece uses data to show how the UK’s regional disparities have varied over time from the 1960s to the present day; before seeking to model the ‘under-performance’ of regions in order to establish what a ‘spatially rebalanced’ region may look like. Read our full news story about Dr. Nguyen’s Think Piece here. Written by academics from The University of Manchester, the report compares numerous methods to measure spatial inequality and offers a critique of these; considers how the United Kingdom fares on each scale; asks if the UK’s infrastructure investment reinforces spatial inequality; and asks if there is a need to adopt greater use of mapping analysis to demonstrate spatial inequality. Read our full news story about SPAL’s Think Piece here. 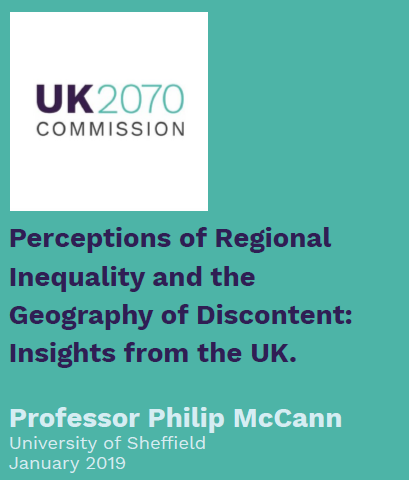 The first of these think pieces is written by Professor Philip McCann, Chair of Urban and Regional Economics at the University of Sheffield Management School, and is entitled Perceptions of Regional Inequality and the Geography of Discontent: Insights from the UK. The paper examines whether the United Kingdom displays high or average levels of interregional inequality, by comparing the UK to 30 other OECD countries across 28 different indicators, and concludes that the UK is one of most regionally unbalanced countries in the industrialised world. Read our full news story about Professor McCann’s think piece here. We have published two prospectuses, of which this is the full 12 page version, however a summary prospectus of 4 pages is also available below. The full prospectus details: the goals of the Commission; the context of the Commission; the activities of the Commission; our programme timetable and outputs; the commitments of our partners and the membership both of the Commission and of the Commission’s Steering Group. As detailed above, this is a 4 page summary of our full prospectus. 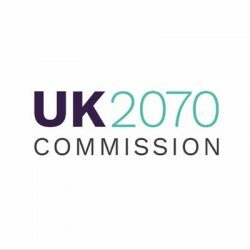 It also outlines the partnership of organisations which have come together to form the UK2070 Commission; the background context of the Commission; our activities and a brief biography of each of the Commissioners. Should you be struggling to find the information you require about the Commission elsewhere, this document answers a number of Frequently Asked Questions about UK2070.